More updates to the game are coming - win legendary weapons, armour and liveries by competing with players all around the world in intense multiplayer combat. Warhammer 40,000: Freeblade is completely free to download and it is possible to play through the game without purchase; however some in game items, features and enhancements can be optionally purchased using real money. If you do not wish to use these features you can restrict in-app purchases in your device settings. Warhammer 40,000: Freeblade © Copyright Games Workshop Limited 2016. Warhammer 40,000: Freeblade, the Warhammer 40,000: Freeblade logo, GW, Games Workshop, Space Marine, 40K, Warhammer, Warhammer 40,000, 40,000, the ‘Aquila’ Double-headed Eagle logo, and all associated logos, illustrations, images, names, creatures, races, vehicles, locations, weapons, characters, and the distinctive likeness thereof, are either ® or TM, and/or © Games Workshop Limited, variably registered around the world, and used under licence. 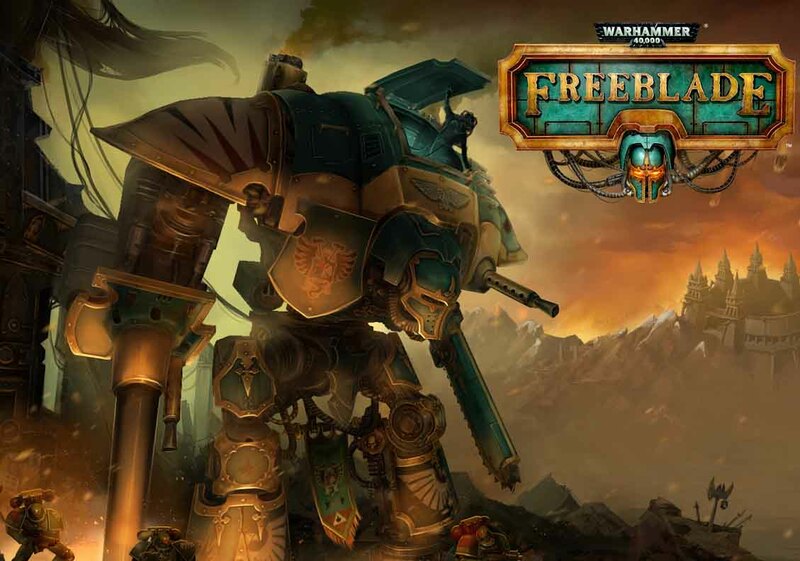 Warhammer 40,000: Freeblade is a product of the GamesLab West Midlands programme, funded by the European Regional Development Fund, supported by the Government’s Regional Growth Fund, and led by Creative England. All other trademarks are property of their respective owners. © Pixel Toys 2016.